As I've gone down this painting path, I've discovered that every canvas is a story, an arc that plays out in its own unique way. There is usually context when I paint portraits, a compelling reason why I was either asked to paint someone or inspired to do so. The resulting chain of events, comments, and connections is often extraordinary and always interesting. 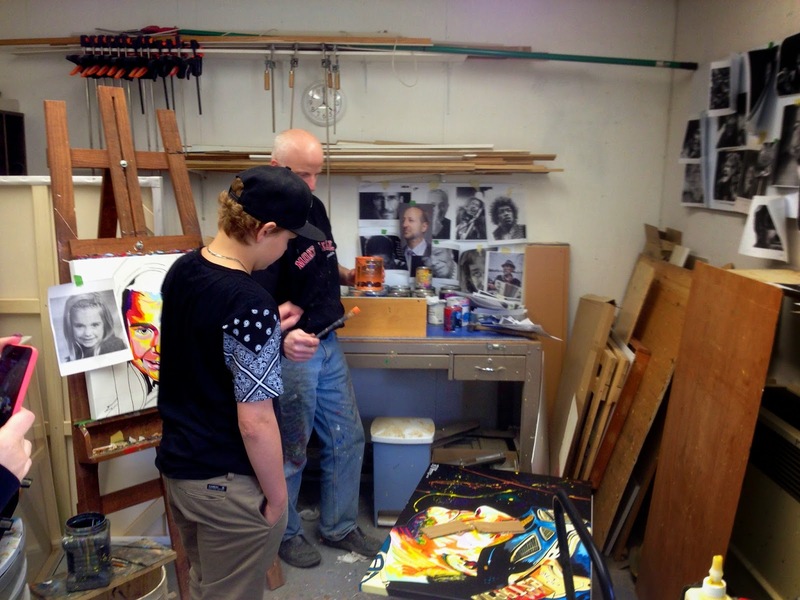 Zachary and I put the finishing touches on the portrait of Shane Daye on Sunday. The Facebook post about the painting has been seen by over 7,000 people; the blog post that tells the story has entered my top 10 list in terms of total readers. 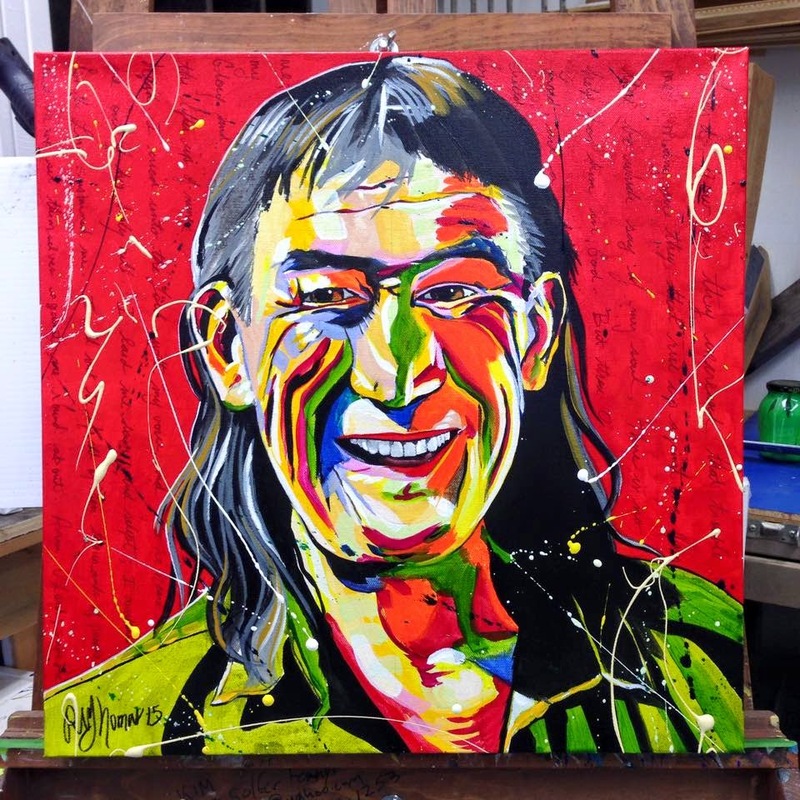 The arc of this story continues, as the painting will be auctioned off at an event in Shane's memory in June. 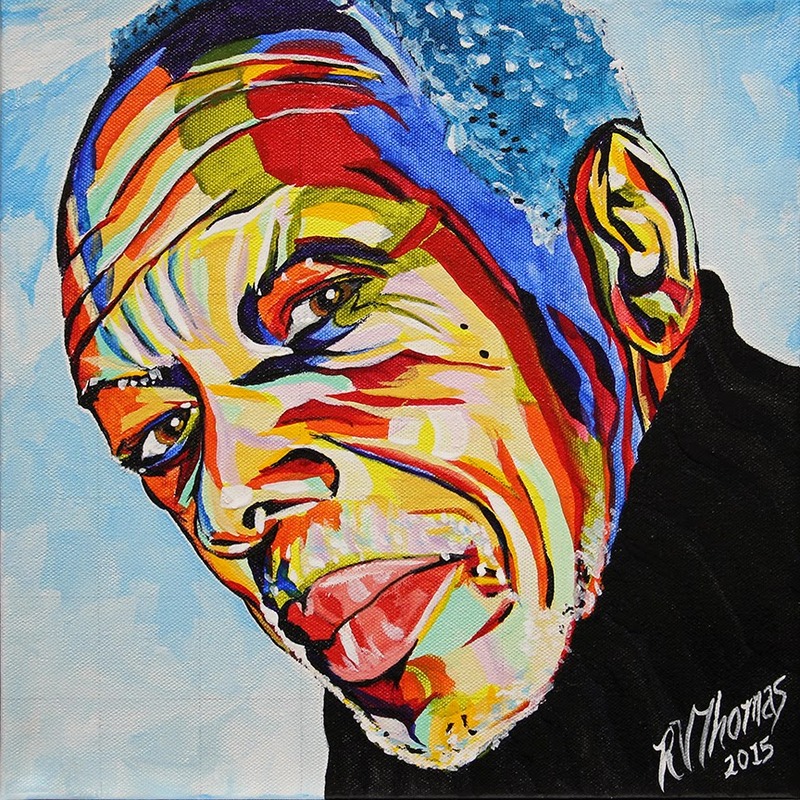 I get a lot of requests to do portraits, some that are very touching, poignant, and powerful. There are times, like last night, when a request comes in that demands immediate attention. The list of paintings that fall into that category is growing. The portrait of Joey D was done with that sense of immediacy, as was the first Robin Williams, Leonard Nimoy and David Cardinal. Once in awhile, a painting happens completely unexpectedly, like the one of Dr. Cedric Dey. His daughter Gillian had won a random draw on my Russell Thomas Art Facebook page for a 12" x 12" quick study. She chose her dad. On one day a thought, on the next, a portrait that made its rounds with friends of family of Dr. Dey from across the country. 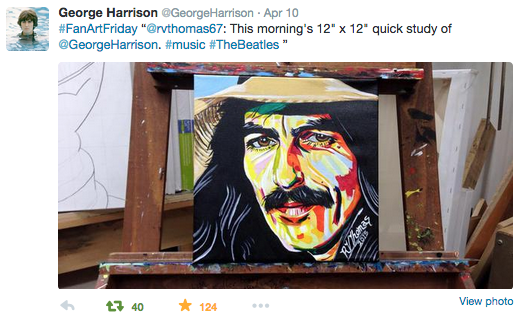 A friend of mine from Calgary tipped me off about #FanArtFriday, and the fact that if you post a drawing or painting of George Harrison at the official @GeorgeHarrison Twitter account, they will retweet it. So, I painted George Harrison. The folks who manage the account favourited it immediately, then tweeted it out on #FanArtFriday. It has since been seen by a whole lot of people. I have a huge vision board in my studio where I keep a series of photographs that link to ideas and commissions. And while I have a soft list of projects that are higher on the priority list, there is always the sense of the unexpected in terms of what paintings are going to emerge in any given week and what stories they either contain or will create.